Your message will be sent to Marco Rufo. 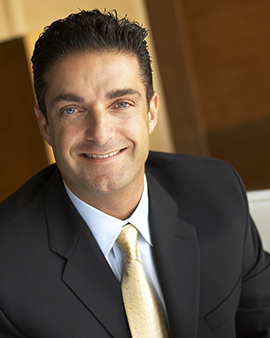 Marco Rufo is the Broker Associate with GRI and e-PRO designations at Berkshire Hathaway HomeServices in Pacific Palisades. With 20 years of varied industry experience behind me, I have the kind of knowledge and insight that allows me to offer you the best of today's real estate opportunities. And since my number one goal is client satisfaction, when you work with me you can always count on professionalism, honesty and easy accessibility. I've won many awards and acquired many accreditations that position me at the top of my field. However, for me the highest compliment comes from my clients. When they turn to me for repeat business and refer their families and friends, that's how I know I'v e truly succeeded at my job. My favorite part of being a Realtor® is working with the fascinating people I get to meet on a daily basis. Our process together starts with me listening thoroughly to your needs. The next step is establishing a personalized plan. Then I use my connections and negotiating skills to help you attain the opportunity that best suits your desires and budget. Aside from real estate, my other passion is my family - my amazing wife and two beautiful daughters. If I could sum up my life's mission in one sentence, it would be, "Integrity and honesty are the models I live by."